Help Hestian mitigate the causes of climate change and improve the livelihoods of people in Africa, by helping them spread the word about the benefits of carbon credit sales. In Africa, almost 5 million acres of forest are demolished each year for firewood. In countries like Malawi, only 2% of households cook with electricity and almost everybody else cooks with firewood or charcoal, with little or few exceptions. This has major health and environmental implications. 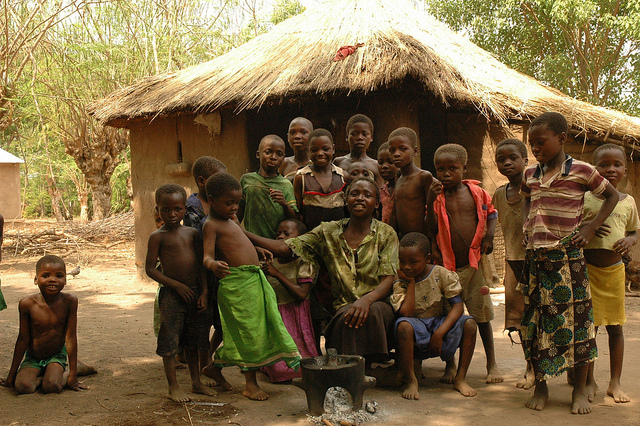 Household air pollution from solid fuels is estimated to be the number one risk factor that accounts for most disease burden in Malawi. And the environmental impacts of inefficient use of firewood are just as bad: rapid deforestation, soil erosion, river siltation, sinking of the water table, reduced natural habitat for biodiversity, increased CO2 emissions and many others. Also, with increasing scarcity of firewood, due to over-exploitation, people are paying more to have wood, and having to travel further to collect it. This means that many families spend as much as 15% of their household income on firewood and charcoal, and spend a significant amount of time collecting wood, rather than working and generating income. One of our partners, a social enterprise called Hestian, works to promote sustainable solutions for these communities and the world. By promoting access to fuel-efficient wood-burning cook stoves, they are addressing a number of different social and environmental issues in Malawi and in other African countries, such as Rwanda and Zambia. They understand that with limited access to electricity and alternative fuels, it is likely that biomass will remain the major source of household energy for some time. So their aim is to improve the efficiency of wood-fuelled technologies. Hestian has developed a line of improved cook stoves that are made from local materials and by local people, which beyond generating employment also make the stoves very accessible even to families with lower household incomes. These improved cook stoves were designed to fit cultural preferences and maximize the efficiency of wood burning, which results in less indoor pollution and less fuel to cook. For the domestic version, for example, there is a recorded 48% wood savings. The cost savings can generally pay for the stoves within one to three months. At the most basic level, Hestian wants to provide more families with the benefits of improved cook stoves. Households that spend less time and money on collection and purchase of wood fuel can use these savings to engage in productive economic activities, invest the saved money and improve their livelihoods. In a broader scenario, Hestian is generating intelligent solutions to one of the major contributors of global climate change: the burning of solid fuels and CO2 emissions. By decreasing the need of firewood, Hestian is helping to protect forest areas and is directly helping to reduce emissions, which makes them an accredited carbon off-setter. Each stove they sell, beyond the local benefits, also generates carbon credits that can be sold. And as part of their business model, they sell these carbon credits to individuals and companies. The money from carbon credit sales is their primary source of income and allows them to expand their impact to more communities and families.